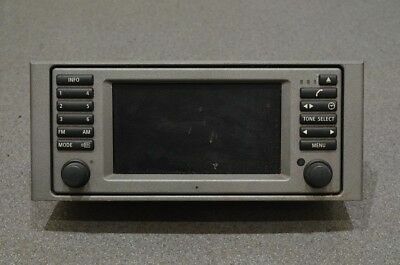 I want to upgrade/change the audio system from the radio to the sat nav (Part N° YIK500030), who have done the job before? Apart from the YIK500030 nav, it's necessary something more? I'm in the process of swapping out my YIK500030 for an Android radio. I will give you the head unit, navigation unit and 6 CD changer I'm pulling out for the price of shipping, but you'll need to come up with a wiring harness to hook them all together. The other alternative is to buy the Android radio and wiring harness, I paid $312 for the head unit, wiring harness and backup camera. This will give me hands free bluetooth, streaming bluetooth, DVD player, backup camera, and whatever Android apps I want to install like Google Maps or Waze for navigation. It came with a GPS antenna and a WiFi antenna. The replacements for a 2003 - 2005 Range Rover are the same as a BMW E39. Here is a link to the radio I bought - Eonon GA9301B. They have additional models that fit the BMW E39 that might be of interest. Anybody tried the aftermarket radio from radio-upgrade.com? Headlamp upgrade options 2002/3 HSE?